Not even a week has passed since Lucy Flores, a former candidate for Nevada's lieutenant governor, published an explosive article accusing former Vice President Joe Biden of inappropriately smelling her hair and planting a "big slow kiss" on the back of her head, reigniting the controversy surrounding Biden's long history of creepily caressing women during public events. Yesterday, a second accuser came forward with a story about how Biden had rubbed his nose against hers in a non-sexual, yet still extremely strange and uncomfortable, manner, during a fundraiser in Connecticut. The allegations have elicited intense blowback for Biden, as debate rages in the media about whether they should disqualify him from running for president, just as he was reportedly about to launch his campaign. And unsurprisingly, the Biden team, with its future now in jeopardy, is looking for somebody - anybody - to blame (that is, except the candidate himself). And according to Axios, they have settled on a culprit: Vermont Senator and presidential rival Bernie Sanders. Noting Flores' association with and public support for Sanders, sources from within the campaign told Axios that the allegations of Biden's inappropriate behavior are being fanned by his rivals. Several around Biden think advisers to Bernie Sanders are at least partly behind the anti-Biden campaign. One prominent backer thinks Biden will run, and "is ready to kill Bernie." By "Kill Bernie", we imagine he means kill him at the polls, that is. This is a stark departure from the Biden team's public statements, where the campaign has blamed "right wing trolls" for reigniting the controversy. 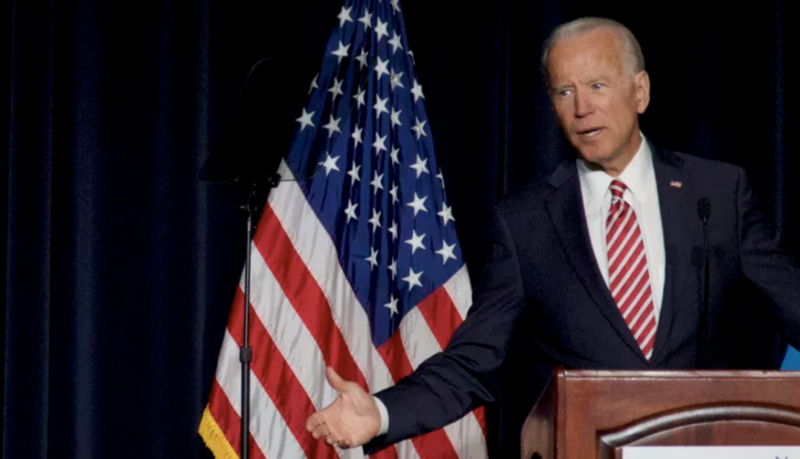 Still, despite the controversy, Biden has retained the highest polling numbers among his rival candidates, as the NYT's Ross Douthat pointed out in an op-ed published Tuesday. But would it still be worth it for Biden to run against the "emerging consensus" of his party, Douthat asks? If we believe these anonymous Biden advisors, the candidate hasn't given that much thought. 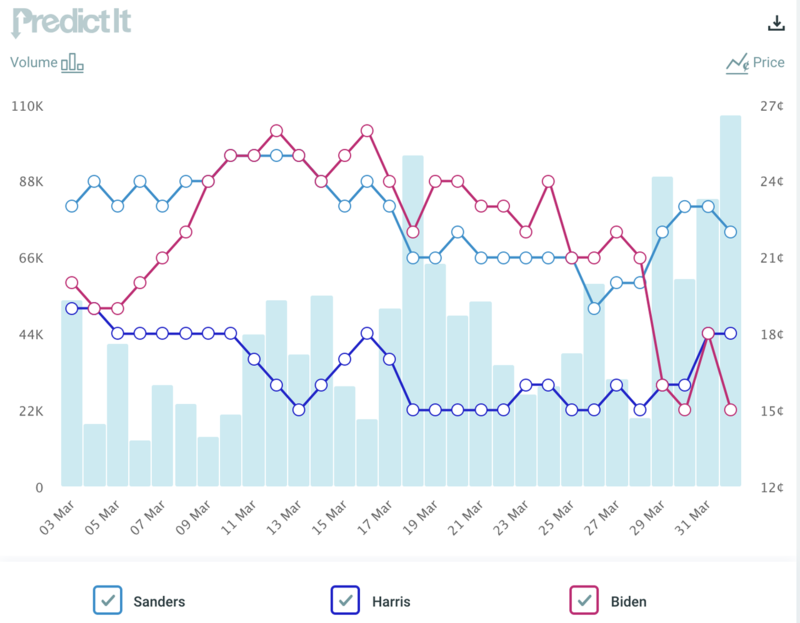 Meanwhile, online betting odds of a Biden primary victory have fallen off a cliff since the scandal broke.